But as per usual, the internet took a fancy to these minimal mugs and now they’re not as easy to find. The $4 mugs are sold at HomeGoods, Marshall’s and TJ Maxx but now even these stores have trouble keeping these cups on the shelf. Rae Dunn, who started her namesake line, is a California-based artist whose worked with clay for over 20 years. Her creations now have a market on the internet, where eBay, Amazon and Etsy all sell Dunn’s Instagram ready creations (but with a markup on price!). 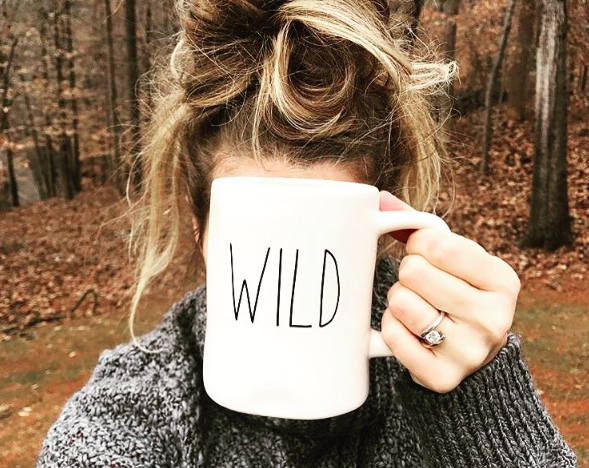 These mugs may seem like any other mug, and they pretty much are, but they’re also much more Instagram ready. Are these clay pieces the secret to Instagram success? Perhaps! And if you don’t feel like paying extra money, head to your local Marshalls or HomeGoods on Tuesday or Wednesday morning. According to blog The Glam Farmhouse, these stores get shipments of clay wear in on these days. Just make sure you go as early as you can so these pieces don’t sell out!